Scientists intensely analysed people on controlled diets by inspecting every morsel of food, minute of exercise and breath taken. Both diets, analysed by the National Institutes of Health, led to fat loss when calories were cut, but people lost more when they reduced fat intake. 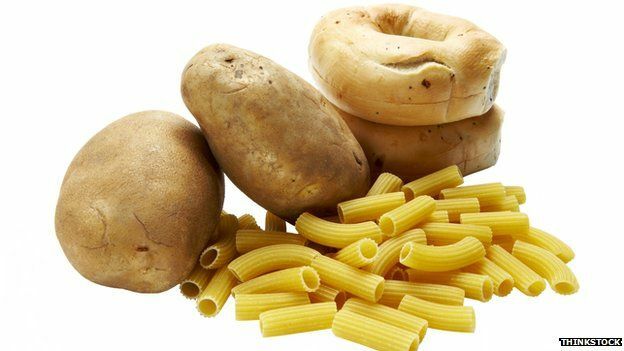 It has been argued that restricting carbs is the best way to get rid of a "spare tyre" as it alters the body's metabolism. The theory goes that fewer carbohydrates lead to lower levels of insulin, which in turn lead to fat being released from the body's stores. "All of those things do happen with carb reduction and you do lose body fat, but not as much as when you cut out the fat," said lead researchers Dr Kevin Hall, from the US-based National Institute of Diabetes and Digestive and Kidney Diseases. Then, over a period of two weeks they tried diets which cut their calorie intake by a third, either by reducing carbohydrates or fat. The team analysed the amount of oxygen and carbon dioxide being breathed out and the amount of nitrogen in participants' urine to calculate precisely the chemical processes taking place inside the body. The results published in cell Metabolism showed that after six days on each diet, those reducing fat intake lost an average 463g of body fat - 80% more than those cutting down on carbs, whose average loss was 245g. Dr Hall said there was no "metabolic" reason to chose a low-carb diet. Dr Hall told the BBC News website: "If it's easier to stick to one diet than another, and to ideally do it permanently, then you should choose that diet. "But if a low-fat diet is better for you, then you are not going to be at a metabolic disadvantage." He is now analysing brain scans of the participants to see how the diets affect how rewarding food is. 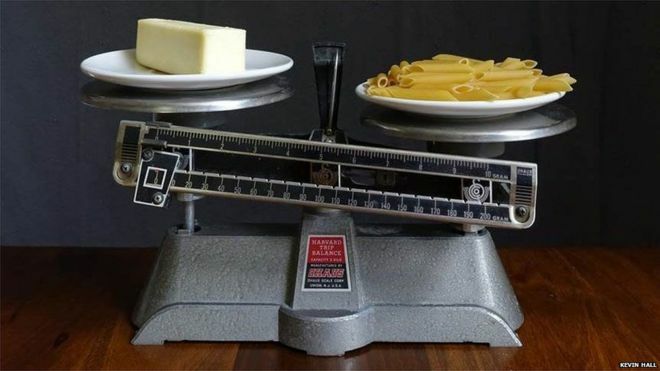 Doctors Susan Roberts and Sai Das, from Tufts University, said in a commentary that the debate around diets was a source of "intense controversy". They said the study had "debunked" many of the claims that low-carbohydrate diets were better, but the long-term impact was still unclear. They added: "The most important message for now is probably that some carbohydrates are all right, especially the healthy whole-grain low-glycaemic-index index variety." Prof Susan Jebb, from the University of Oxford, said: "The investigators rightly conclude that the best diet for weight loss is the diet you can stick to. "All diets 'work' if you stick to an eating plan that cuts calories, whether from fat or carbohydrate, but sticking to a diet is easier said than done, especially given the prolonged time it takes to lose weight."